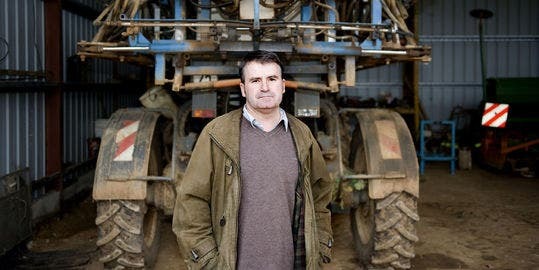 A French court upheld on Thursday a 2012 ruling in which Monsanto was found guilty of chemical poisoning of a French farmer who suffered from neurological problems after inhaling the U.S. company’s Lasso weedkiller. Paul Francois. Image via Le Monde. Alachlor is an herbicide, the second most widely used herbicide in the United States; it’s been banned in Europe since 2006, but in 2004, grain grower Paul Francois used it and accidentally inhaled it. He then suffered from memory loss, headaches and stammering, and sued them because the product was not properly labeled. Monsanto contested the ruling after they lost the trial in 2012, but the decision was upheld now. The company’s lawyer, Jean-Daniel Bretzner, said a potential fine to compensate for the farmer’s loss would be decided after the decision of the highest court. “We are speaking about modest sums of money or even nonexistent. He already received indemnities (by insurers) and there is a fundamental rule that says that one does not compensate twice for a loss, if any,” Jean-Daniel Bretzner said. Lasso is not the only fertilizer used by the company that has been accused of being dangerous. The International Agency for Research on Cancer (IARC), part of the World Health Organization (WHO), stated in March that Roundup, one of the most used herbicides in the world, was “probably carcinogenic to humans”.